What’s new for Shopify in 2019? At their annual Unite conference in May 2018, Shopify announced a series of new features that are set to roll out this coming year. The event focused on the challenges that come hand in hand with global expansion, with Shopify using their insights from working with some of the world’s biggest brands to change how they approach international commerce. As 2019 marches on, we take a look at some of these new features – as well as how they can be used to grow your business. From selling in local currencies to dynamic checkouts, here are the Shopify updates you need to be aware of in 2019. With the international ecommerce industry worth $30 trillion, Shopify’s focus for 2019 is to make it easier for merchants to sell globally. That’s why they’ve introduced multi-currency for Shopify Payments. In a huge step forward for the platform, Shopify launched the multi-currency beta feature at the tail-end of 2018. By enabling brands to sell in local currencies through Shopify Payments, multi-currency helps provide both your domestic and international customers with a great shopping experience. Although the Shopify platform has always allowed brands to display multiple currencies across their site, the prices reverted to GBP when customers got to the checkout. Aside from being more user-friendly, giving your customers the option to pay in their local currency makes them more likely to complete a sale. And with customer-friendly international storefronts and checkout experiences, you’ll be able to improve your customer loyalty rates across borders. To make the prices feel more familiar to your customers, Shopify’s built-in geolocation functionality rounds the price based on current foreign exchange rates – for example, €10.95 instead of €10.92. This consistent customer experience leaves shoppers feeling like they’re in familiar territory, which helps to reduce abandon-cart rates and buyer hesitation. Shopify’s multi-currency feature is currently only available for Shopify Plus merchants that are using Shopify Payments, so if you’re not already on the Plus plan, now might be a good time to upgrade. Shopify Payments currently supports AUD, EUR, JPY, SGD, USD, CAD, HKD, NZD, and GBP. Continuing with the theme of internationalisation, Shopify Payments will soon allow merchants to offer customers local payment methods. This hyperlocal customer experience is an essential part of your global expansion – by enabling customers to pay with their preferred method, you’ll be able to build trust with your international audience. Payment methods can vary wildly across different countries, which is why it’s important to offer your customers a payment option they’re familiar with. For example, although the UK market is dominated by debit card transactions, over half of online spending in the Netherlands is done through iDEAL, a direct banking app. By understanding how your international customers prefer to pay for their items, you’ll be able to better navigate the landscape of global selling. Shopify Payments will be launching local payment methods sometime in 2019, so keep an eye on the Shopify changelog for updates. Ecommerce may be dominating physical stores in terms of sales, but that doesn’t mean you should underestimate the power of the human factor. Whether you’re running a pop-up store or selling at an event, Shopify has announced a list of features to help you sell in person. 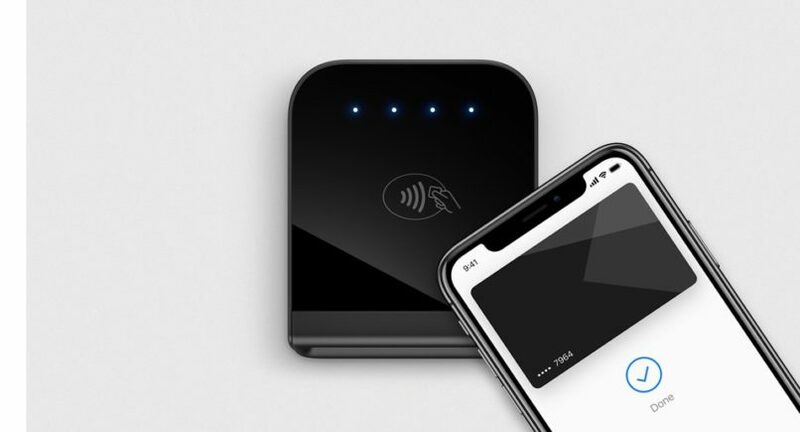 Shopify Tap & Chip Reader: A contactless reader that lets you take payments from any device. The Tap & Chip Reader is synced with your store, enabling you to offer a secure shopping experience on the go. Tipping: Shopify POS is now equipped with a tipping functionality, allowing your customers to reward you and your employees for the stellar service you provide. Returns & Exchanges for Shopify POS: You can now offer exchanges and refunds in store to all your customers, even if they bought the product online. By taking the hassle out of returns, you’ll be able to build up a better level of trust with your customers. These new Shopify features will be a lifesaver when it comes to promoting your brand offline. By enabling you to focus less on the transaction and more on the customer, you’ll be able to provide your customers with a better in-person shopping experience, helping them attach a friendly face to your brand. Shopify Flow is an automation platform that’s available to all Shopify Plus merchants, helping them automate their day-to-day workload. Now, Shopify has extended this platform to include connectors. These connectors link your business tools with each other and with your Shopify store, allowing you to automate manual tasks without the need for custom code. By building bridges between your essential apps, you can simplify the way your business works on an everyday basis. With these connectors, workflows can now start and end from any combination of events and actions within Shopify and your connected apps. For example, after a customer places a second order, you could create an automated action to send them a discount code with an app like SMSBump. Or, if a customer is marked ‘at risk’ in Loyalty Lion, you can have it trigger a win-back email sequence with Klaviyo. By automating your everyday tasks and helping you reach more customers, you’ll be able to create a more personalised experience – without any additional resources. 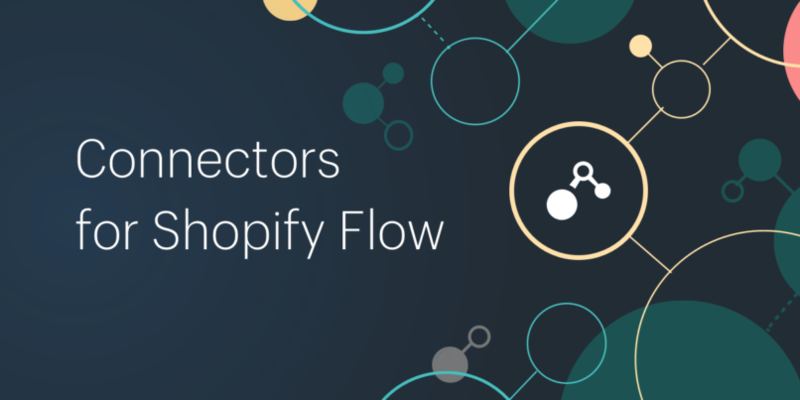 Shopify Flow is only available for Shopify Plus merchants, and the connectors are only available for Shopify Flow apps. However, Shopify are looking to integrate more apps with the platform, so it’s likely more connectors will be rolling out later in 2019. It’s also important to note that these connectors are not a replacement for a sophisticated integration platform like Patchworks – they simply work alongside your system integrations to power your front-end marketing tools. To find out how an integrations platform can help power your business, get in touch with Patchworks here. In a move to expedite the checkout process, Shopify has now enabled brands to add dynamic checkout buttons to their product pages. This accelerated checkout flow allows your shoppers to checkout directly from a product page, using their preferred payment method. By giving your customers the option to skip past the traditional multi-step checkout process, dynamic checkouts allow shoppers to buy their products without leaving the page they’re browsing. Customers still have the option to go through the traditional checkout and add multiple items to their carts, but dynamic checkout buttons give you the chance to capture those additional sales from people in a hurry. Although our front-end developers have already started adding dynamic checkouts to Juno sites, Shopify are now offering this functionality as part of their platform. With the ability to automatically show your customers their preferred checkout options, these dynamic checkouts help to increase your conversion rates. These are just some of the updates Shopify have been working on in 2018. This year looks set to be another period of exciting software developments, with Shopify already hinting at the possibility of a multi-store architecture release later in the year. Keep your eyes peeled on the Juno blog to stay in the loop about the latest Shopify releases. Thinking about moving to Shopify Plus? We can help with that. Our talented team of designers, developers, animators and digital marketers will work to build you an extraordinary website that looks great on every type of screen. Get in touch today to find to more.